Charlie Miller is our Partnerships Manager. He has worked in the charity sector for eight years and currently manages our relationships with governments, aid agencies and corporate partners. He has just written a blog for Business Fights Poverty entitled: Agility, Innovation and Open-Sourcing – Crucial for enhancing ‘Bottom of the Pyramid Marketing’ and Distribution. In the blog, Charlie talks about the importance of field-testing multiple ideas to find a good one. Once an innovation is discovered, organisations both in the corporate sector and the charity sector, need to be agile – so that they can rapidly refine it and scale it. Finally he reflects upon how a form of open-sourcing, sharing what we’ve learnt and helping others to distribute solar lights, will help us to achieve our goals. This basis of agility and innovation is what led us to become the largest seller of portable lights in rural Africa. 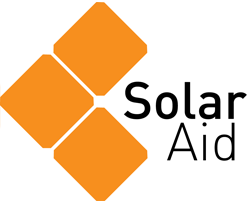 To read the blog, and find out more about our business model and the future of solar lighting in Africa click the link below.